Day by day, digital solutions seem to replace paper. Which shouldn’t be a surprise, given the vast amount of benefits digital solutions provide. At the rate that digital solutions are being adopted, we’ll be using iPods as napkins. Personally, I find it difficult to write on paper after getting used to years and years of writing on a keyboard. Pen’s sometimes feel foreign to me, to the point that it’s surprising to go to doctor’s office and be given a clipboard. 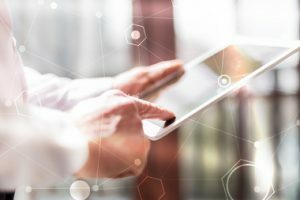 Imagine being able to greet your patients (and potential patients) with a tablet designed to capture their information, and send it back to whoever needs it – including themselves. The computer automatically files it away, and no middle-man is needed to enter the information into the waiting list. Putting together a list of guest will also take a few seconds – another perk of having a digital directory. Snappii, an app creation company, has been around since 2012 creating apps for all sorts of problems. The process usually goes like this: a company runs into a problem and approaches Snappii. Our support team then creates a solution for them using an app. They submit this idea to the developers who return an estimation of the amount of time it will take. Based on that, the support and sales team can provide a quote to the user. Because Snappii has apps on the market that already resemble the apps we can develop on our platform, users can utilize these apps to get a good idea of how we work. Furthermore, users can customize these apps. They serve as a sort-of barebone kit that a user can build off of. “Template” apps are usually updated to reflect other similar apps in the industry, so you can rely on them to show you the most popular way to complete tasks. Guestbook Sign-in apps are usually pretty similar. Some may differ in that they require a badge to be printed out in the end, or maybe the form that the guest fills out ask for a specific field that only that company asks for. Either way, the majority is the same. Guest walks in, picks the tablet up, enters information, hands the tablet back and sits down. One of the best parts about the Snappii platform is that using our system makes it easy to make changes later on down the line. Let’s say, for example, you finally recieve the app that you’ve paid for. Everything’s fine with it, but there’s a few details that need to be switched around. Because the entire app was built on our platform, small changes can be made with ridiculously fast turn-around times. This allows a user to optimize their form. In a guest sign-in situation, questions can be added and omitted on the fly, and updates can be made in as little as 48 hours. One of the greatest benefits of working with digital forms is that information is automatically saved when it is entered in. With traditional paper methods, information has to be entered in twice: once when the client recieves the form to fill out, and once when the employee is filling out the information in the computer. 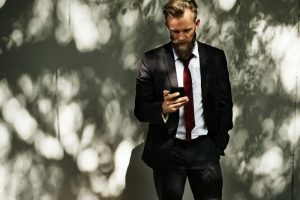 As I mentioned before, the form takes out the middle man, and allows the client to directly communicate with the computer that is hold all of the information. And this process happens seamlessly. There’s no extra steps that need to be taken – as long as the user has internet connection, everything will be backed up. 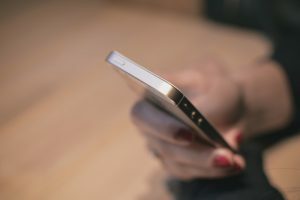 Even if they don’t have an internet connection, the app will queue itself until it regains connectivity, then continue to function as normal. Depending on what your current systems use, different format’s may be required when it comes time to look up old guest that have visited. The app can be customized to output in a few different formats, such as Excel and PDF. Don’t be afraid to try both and drop the one you end up not needing! If you already have a printed-out form that you use for your systems, we can also make the information output onto a desired PDF. This allows you to change your background processes while retaining the part that most people end up seeing. Snappii has helped business both small and large make thousands of apps over the years. We know what it takes to make a successful piece of software that will benefit you for years. If you would like our developers to build a custom app for you, please contact our sales team at sales@snappii.com. If you would like to try building the editor yourself, please contact support@snappii.com. In this day and age, the way you run your business says a lot about it’s success. 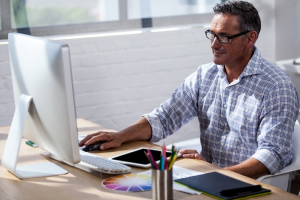 While there are still a lot of businesses around that get the job done with paper and pencil, the majority of people have made the switch to digital. After all, a business isn’t just about making ends meet – you want it to grow! 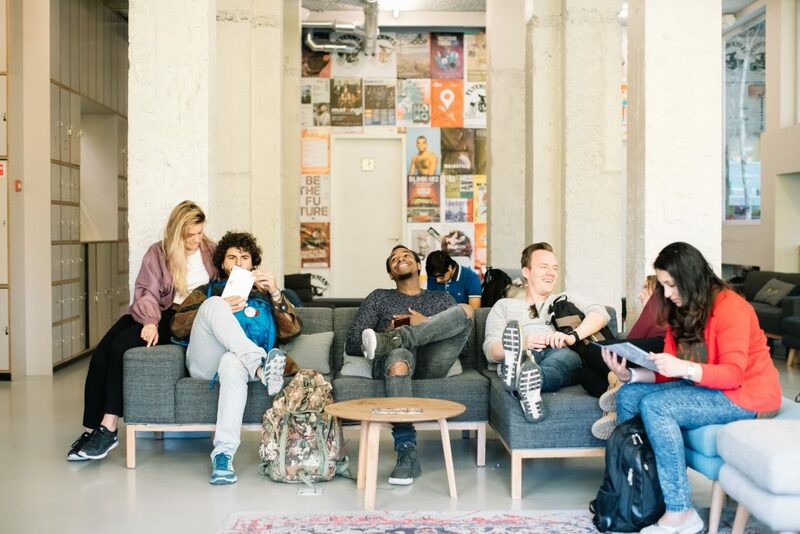 There’s never been a better time to invest into making an app, especially with companies like Snappii around to help facilitate the process. What makes Snappii so different from the rest? Snappii has been around since 2012. Since then we’ve done nothing but build apps for customers, back to back, day in and day out. We know a little something about the time it takes to do things the standard, analog way and the problems that that method creates. We also know that our digital solution can literally turn your business around overnight – we’ve seen it happen. More than once, too. If you don’t believe us, check out our website where you can get some additional information about the entire Snappii process. If you visited our mobile apps page, you’ve probably seen the incredulous amount of apps we have developed and published onto the market. There’s a lot to chose from, and every single one of those apps can be customized to fit any need. Find the app that’s closest to what you need, we’ll copy it to your account, and you can go in yourself to make the changes. To some, that might sound like too much leg-work. We also have the option of contacting our developers to create the app for you. Either way, it’s much cheaper, and more time effective, than the alternative (hiring a bunch of developers who probably don’t care much about your project). Because we have so many apps available, I thought I’d take the blog-time to run through our most popular, and probably most useful, apps that we have on the market. Keep in mind that these apps are free for 15 forms a month. For a small fee, you can unlock the app, and for a slight bit more, you can have your own custom version that you control every aspect of. This has long been the poster-child for Snappii. 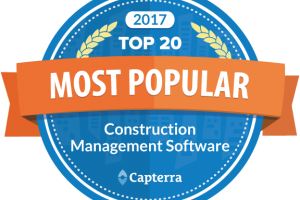 This app became the most popular for one simple reason – the construction industry had a huge hole in it when it came to solving the “paper” riddle. Many companies flat out refused to do better, and instead kept marching on with their pen and paper. The Construction Daily Log has gone above and beyond to make this process as easy as possible. Especially with the new features that got announced, like the “Supervisor” and “Project Manager” view. Each of these sub-categories sets the app up for the appropriate person, allowing the Project Manager to have an overview of all the projects at hand, and the supervisor to have an overview of all the employees at hand. Merging both of these worlds also means that those two individuals will always be up to date on projects. Likewise, if one of the employees that are using the app makes a change, it will automatically inform the higher ups. The CDL (Construction Daily Log) is professional at keeping everything tidy and neat. Having your logs backed up on to your phone, and being able to search them through search fields alone makes the app worth at least a download. 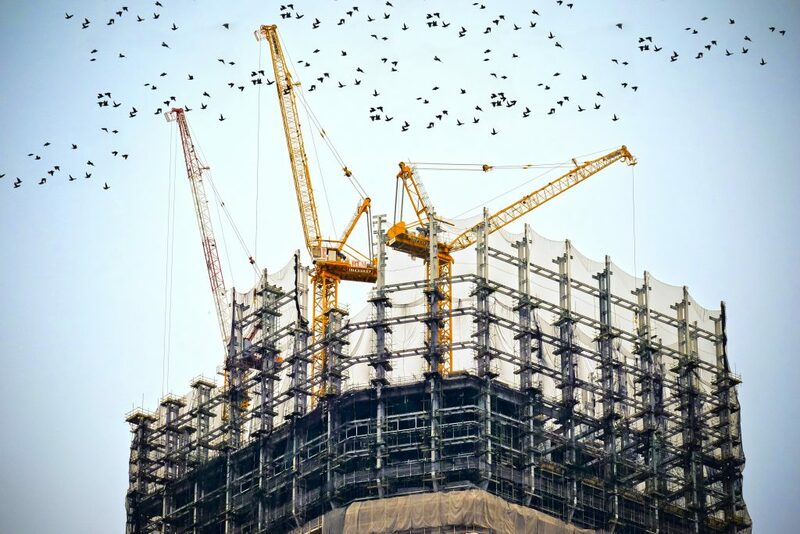 A relatively new app to the family, the Construction Photos app allows it’s users to take and manage photos. This can also be done on the Construction Daily Log, but the photos apps is more of a bare-bone’s version of this idea. The vision was to have an app that anyone can pick up and use without even a minute of training. The app is intuitive enough that if you’ve used an app before, it should be a breeze, but powerful enough to capture the things you need. If you’re having problems filling your safety inspection forms in time, this might be a great solution for you. And if it isn’t, the next one surely will be. The great thing about the Inspect Anything app is that it’s an extremely generic version of most of our other apps. That might not sound so good on paper, but it’s actual application is basically limitless. It works by keeping things general enough that it can be used for almost anything, yet allows enough of the users own input to still capture specific details. Again, like all of our other apps, the Inspect Anything app can be modified to fit your needs – and a lot of people use it for that. It works as a great template to start off an app, andfrom there you can have a good idea of what to build next. Our apps aren’t just limited to forms, but 9/10 times that what they are used for. Inspect Anything will introduce you to the form world, while still giving you the flexibility of exploring our other features. Snappii has worked hard over the past few years to bring apps that are not only useful, they’re nearly essential for the business. Once you try it, we guarantee that you won’t ever look back at paper and pencil. For more information about what we can do for your business, feel free to reach out to our sales team, or you can email support at support@snappii.com. Customers want to be a part of your business. In our modern day techno-bubble, there’s a lot of ways they can do that. They’ll follow you on Facebook and Twitter. They sign up for newsletters and emailed alerts whenever your business does something new. They may also give you their number when they want instant updates on certain products. It gives them a means to stay connected with your business, even when they aren’t shopping with you. Push notifications work in a similar way – they’re a tool used to inform people. 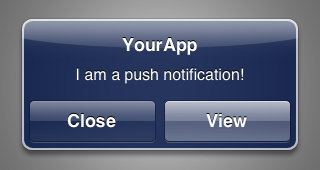 Through your mobile business app, you can send push notifications at the press of a button. When a customer receives a push notification, it comes up as pop-up that almost looks like a text. Publishers can send out a push notifications whenever they want – users don’t have to be using their app, or even device, to receive them. This provides a quick way to reach customers, and as certain studies show, is a great way to get customers to act on time-sensitive opportunities (like flash sales). Around 70% of customers (surveyed by Responsys) found push notifications to be valuable to them. 43% said that they would exclusively use apps with push notifications, meaning just listing it in your description might net a few more downloads. 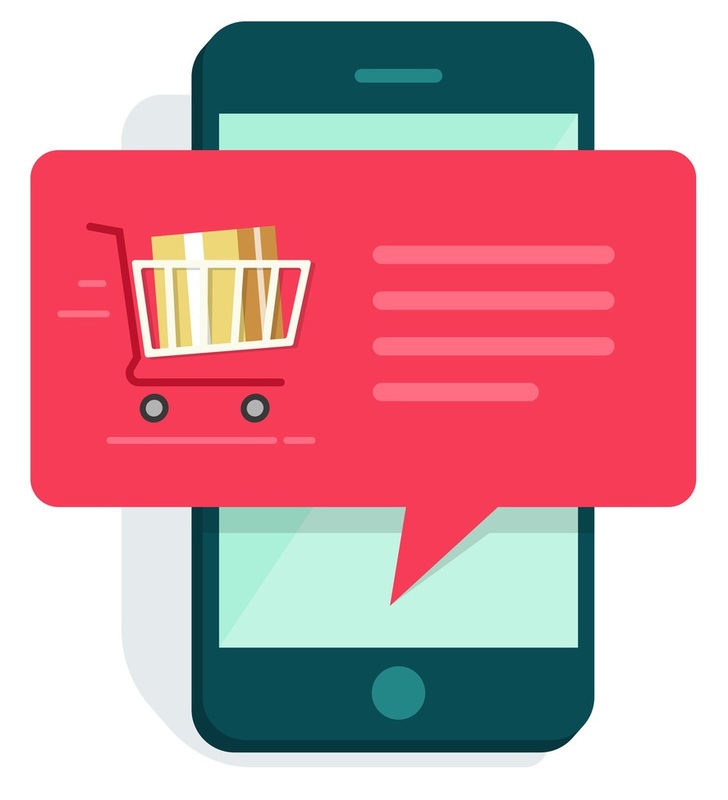 Another study showed that when the message is time sensitive (today only, flash sales), push notifications are preferred over emails. When the message is about something that’s going to happen (future sales and promotions), emails are preferred. However, using it irresponsibly could just as easily drive customers away. Remember the pop-up epidemic when the internet started? Recognizing when to use emails and when to use push notifications can make or break your mobile marketing campaigns. While emails and text can’t be turned off, most apps allow the flexibility to turn off Push Notifications – we don’t want that! Every system is a little different, but the foundation is the same. Similar to an email, you have to come up with a short message that captures user’s attention. Long messages may be a deterrent, but unclear messages will get your push notifications turned off even faster. Having a concise message with a strong call to action will go a long way. Different mobile app makers have different means of sending out push notifications. Snappii, a mobile app development company, makes this process easy by setting their users up with a dashboard upon completing their app in Snappii’s code-less, visual editor. Within the dashboard, users can easily track analytics, view trends and, of course, send push notifications. Email marketing can get you far, but as technology continues to evolve, competitors are going to get smarter with how they market to their (and potentially your) audience. Push notifications are just scratching the surface of mobile app capabilities. Mobile apps can offer small business’s a multitude of neat features (like loyalty cards and event calendars). If your business doesn’t already have an app, check out Snappii’s zero-code, completely visual app editor and start sending your own push notifications to your customers today.